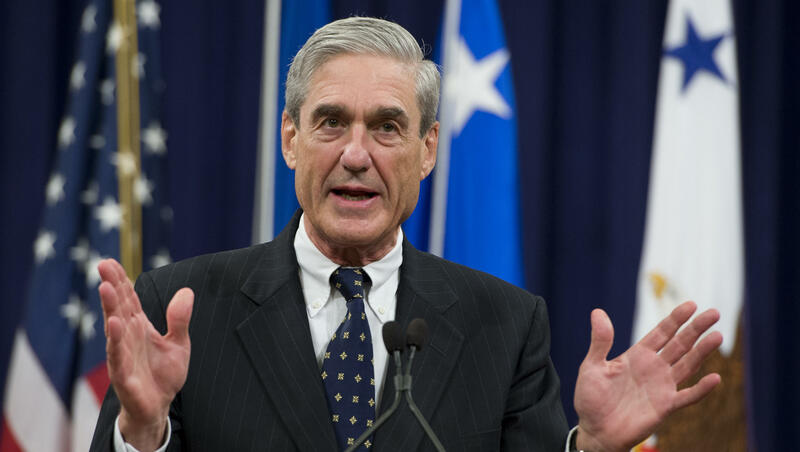 Special Counsel Robert Mueller is using a federal grand jury which is believed to be meeting at the U.S. District Court, as part of the investigation into Russian interference and related matters, according to sources familiar with the matter, CBS News' Pat Milton, senior producer with the investigative unit, reports. On Monday, at the E. Barrett Prettyman Federal Courthouse, located just blocks from the U.S. Capitol, about 20 people sporadically filed through the double doors leading to the grand jury hearing rooms. Many of the individuals were wearing badges which said "JUROR," and they were casually dressed. Is the Russian election meddling probe entering a new phase? The heavy brass doors on the third floor leading to the four separate grand jury hearing rooms are guarded by U.S. marshals. It is not known how many of those rooms were in use Monday. Grand juries are secret proceedings. It is unclear at this point whether the grand jury being used by Mueller's investigators is the one apparently meeting Monday. It is also not known whether the grand jury used by the special counsel meets once a week or is a sitting grand jury that meets regularly on other cases and is readily available to Mueller's team when needed. On Sunday, Deputy Attorney General Rod Rosenstein, who appointed Mueller to be special counsel -- was not confirming that Mueller was using a grand jury, but he did talk with "Fox News Sunday's" Chris Wallace about how grand juries are used in investigations. "It's an appropriate way to gather documents, sometimes to bring witnesses in, to make sure that you get their full testimony," Rosenstein explained. "It's just a tool that we use like any other tool in the course of our investigations." Grand juries can be used in part to issue subpoenas for those documents and testimony. He also told Wallace that he and Mueller "understand the specific scope of the investigation, and...it's not a fishing expedition." If there's evidence outside that scope, however, Mueller "needs to come to the acting attorney general, at this time, me, for a permission to expand his investigation," Rosenstein said. Special Counsel Robert Mueller's use of a grand jury in Washington, D.C., as part of his investigation into Russian interference in the 2016 election, is considered to be a sign that the probe is ramping up. Investigators are exploring whether there were any improper contacts between the Trump campaign and Russian operatives. Grand juries give prosecutors the ability to put witnesses under oath if there is evidence of a crime. Mueller and his expanding team will also have the power to seek indictments and subpoena documents. A grand jury had been part of the FBI's investigation into former national security adviser Michael Flynn and was impaneled in Virginia, the Wall Street Journal reported. That probe has since been taken over by Mueller.